Experience: Loise has a wealth of professional experience in Procurement having worked in private and public institutions. Loise Thuge is the manager Supply Chain Management department. She is responsible for development and implementation of the Commission’s supply chain management policies, strategies and procedures. 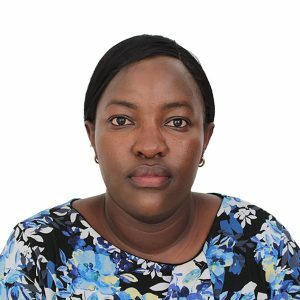 She holds a Master of Science in Procurement and Logistics from Jomo Kenyatta University of Agriculture and Technology (JKUAT), a Bachelor of Arts from the University of Nairobi, and a Diploma in Purchasing and Supplies Management from the Chartered Institute of Supplies Management. Prior to joining ERC, Loise worked for various institutions including the Kenya Revenue Authority (KRA), University of Nairobi and the Institute of Certified Public Accountants of Kenya (ICPAK). Loise is a member of the Kenya Institute of Supplies Management (KISM) and the Chartered Institute of Purchasing and Supplies Management or Chartered Institute of Procurement & Supply (CIPS).